China imposed counter-tariffs on some import products from the United States at 12:01 pm Friday immediately after new US tariffs took effect, the country’s customs authority said. In response to the US announcement to impose additional duties on Chinese imports, the Customs Tariff Commission of the State Council announced it would levy additional tariffs on 545 items worth about $34 billion, including agricultural products, vehicles and aquatic products, starting July 6, 2018. Δ On the regular news conference, the Customs Tariff Commission of the State Council announced to levy additional tariffs on US products. He Wenping, a senior researcher at the Chahar Institute, said that the United States’ reckless action of imposing tariffs on Chinese exports is a severely unilateral and trade protectionist policy in total disregard for global free trade rules. The United States not only waved its “trade protection” stick at China, but also imposed tariffs on its European allies. 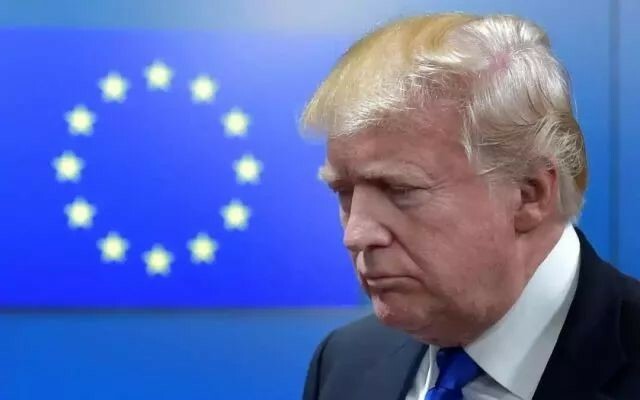 With steel-aluminum tariffs taking effect, US President Trump also threatened to take further measures against EU’s automobiles and auto parts. In brief, the American protectionist policies go against the trend of globalization and are harmful to the development of global free trade. These policies have been widely opposed across the world. “A just cause enjoys abundant support, while an unjust one finds little support,” as the saying goes. Dozens of member states of the WTO have jointly expressed their opposition to the Trump administration’s policies. Δ Members of WTO have expressed their position to the Trump administration’s protectionist policies. While China is ahead of the United States by 12 hours, it did not take the first shot, stressed He Wenping. 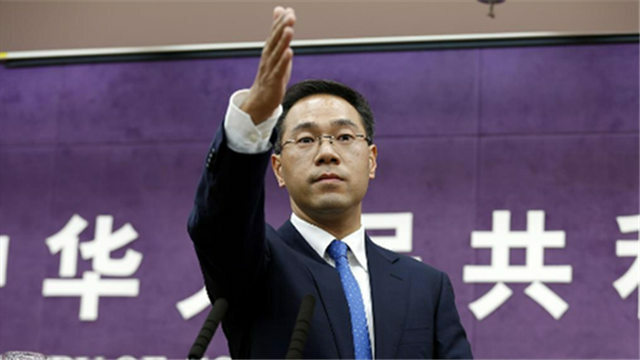 China’s position has been clearly shown in a speech given by China’s Minister of Commerce at a press conference on July 5th: “The US has provoked this trade war; in which we are not willing to be involved. However, China will take actions and fight back if necessary to defend the interests of the country and its people. China will never take the lead in launching a trade war, but if the US goes ahead and implements taxation measures, China will be forced to take defensive countermeasures.” It is hoped that the United States will pull back from the brink and resort to negotiations to solve the problem. However, the United States insisted on imposing punitive tariffs on China, which left China no choice but to take equal counter measures. Therefore, we must resolutely defend our rights and interests by raising tariffs on corresponding US exports to China. Robert Kagan, a senior fellow at the Brookings Institution, who is known as a major neoconservative foreign policy theorist in the United States, recently wrote an article warning that the United States may become a “rogue superpower.” In the face of a trade war initiated by the United States, China cannot yield to its hegemony. The EU countries and Canada have also adopted countermeasures. Rwanda even said that it would impose tariffs on imported second-hand clothes from the United States. With so many countries standing up to defend their interests, the United States has become the target of public criticism. 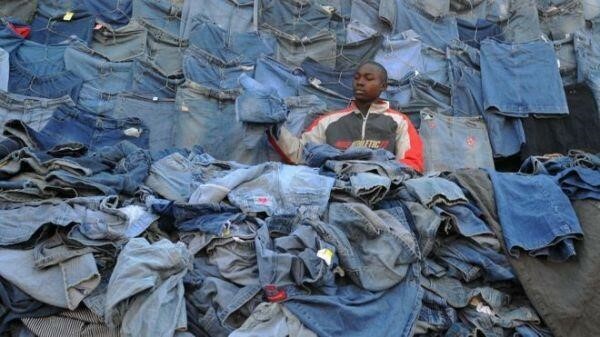 Δ Rwanda raised tariffs on imported second-hand garments from the U.S. in order to protect domestic manufacturing. He Wenping pointed out that trade disputes with the United States will not affect China’s own reform and opening-up process. In contrast, China will continue to actively build closer economic cooperation with countries that are willing to participate in the “Belt and Road Initiative,” strengthen trade facilitation measures, firmly support the position of WTO and multilateralism, and promote global free trade. Su Qingyi, associate researcher at the Institute of World Economics and Politics of the Chinese Academy of Social Sciences, believes that the imposition of 25% tariffs on $34 billion of Chinese products by the United States as a response to immediate Chinese countermeasures has officially mark the beginning of Sino-US tariff implementations. However, the real impact of the $34-billion tariff on bilateral trade is still manageable in the short run in terms of scale. The $16-billion tariff yet to be implemented will also need to be closely watched, including its impact on China, and the impact of China’s second round of countermeasures on both countries. “It is necessary to pay special attention to and constantly monitor the mid-long term impact of Sino-US formal tariff implementations on future trends in China’s trade, people’s values, sectors and enterprises, as well as domestic production and consumption. 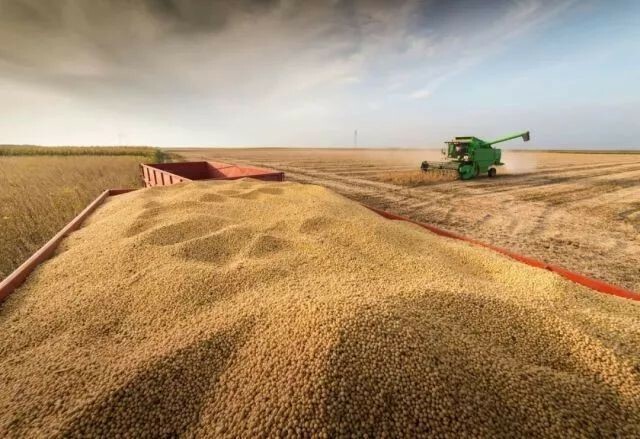 Taking China’s tariff on US soybeans as an example, according to a research, about 77% of China’s soybean consumption in the last 17 years was used for food and oil, and 23% was used for livestock feed. Hence, such a tariff may affect China’s animal husbandry. In addition, the increased tariff will inevitably raise the price of imported soybeans, which will affect China’s Consumer Price Index (CPI),” Su Qingyi said. Δ China’s tariff on US soybean may affect China’s Consumer Price Index. Su Qingyi also believes that it is not impossible for China and the EU to act in concert. After all, Trump’s tariffs will have a direct impact on the world economy and global trade. As said Premier Li Keqiang in his phone conversation with the European Commission President Jean-Claude Juncker on July 4, “The current international situation is complicated, due to rising unilateralism and protectionism. As two important powers in the world, China and the EU should expand their cooperation in order to address challenges amid rising unilateralism and protectionism.” In the context of unilateralism and trade investment protectionism threatening the global trade order and the continued recovery of the world economy, strengthening cooperation between China and the EU will help defend the multilateral trading system, promote globalization and stabilize the world’s economic confidence and ultimately bring mutual benefits to both sides.